A News website should provide as many titles as possible on a single page without looking overcrowded. 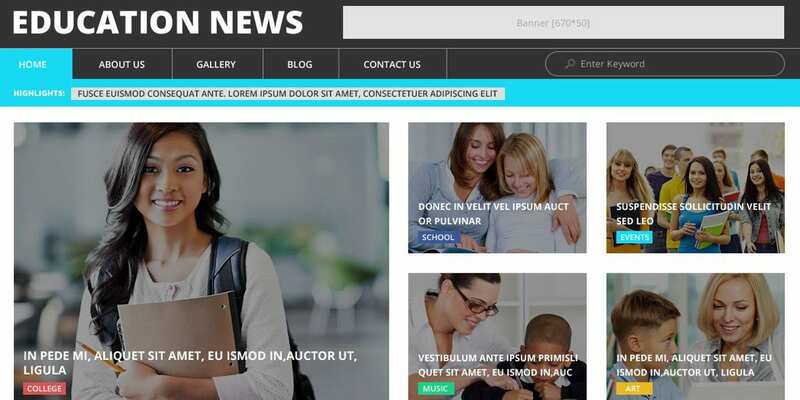 As a news website admin, you will be a lot profited by using news website templates built with HTML5 and empowered with CSS3 as these simplify the complex management process. 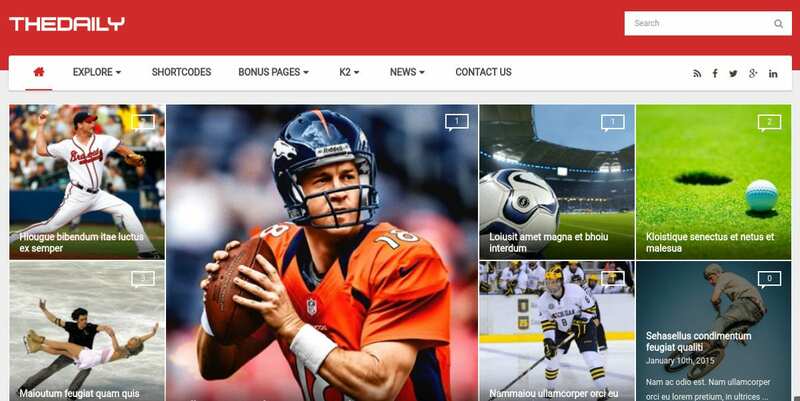 These News Channel HTML Website Templates offer you with a dependable framework to share your News quickly with the world in the way you want. Here is an awesome collection of such templates. KingNews is a premium WordPress theme for newspapers and magazines. 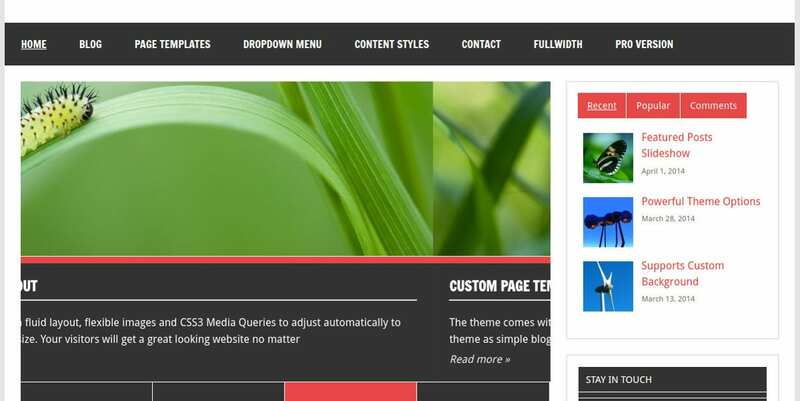 An excellent feature of this template is that it permits you to make a combination of different widgets provided and build different layouts. This theme is easy-to-use, easy-to-install, easy-to-manage, and 100% responsive. It is offered with a 24/7 friendly support. NewsPortal is a 100% responsive premium News Website Template offered with 24/7 free support, and 7 to 15 free stock images and photos. It is fully editable and comes with features like multilingual support, custom post types, 2 step installation, custom widgets, customize typography, multiple color options, fantastic sliders, SEO ready, filterable portfolio, etc. EZ News is a theme specifically designed for magazines. It comes with unlimited color options, easy customization, multi-level drop-down menu, responsive design, unlimited sidebar, localization support, theme update notifier, social media integration, live jQuery comment validation, visual shortcode generator, detailed documentation, custom widgets, compatibility with all major browsers, and much more. This theme has a minimalist white background and stylish widgets and is ideal for presenting news. 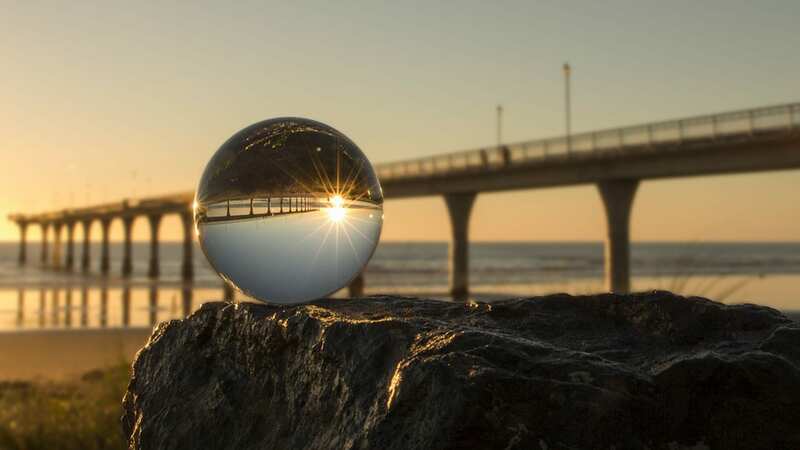 Its features are 24/7 free support, 7 to 15 free stock images and photos, 100% responsiveness, fully customizable design, multilingual support, 2 step installation, 80+ shortcodes, advanced backup, fantastic sliders, customize typography, SEO friendly, and much more. 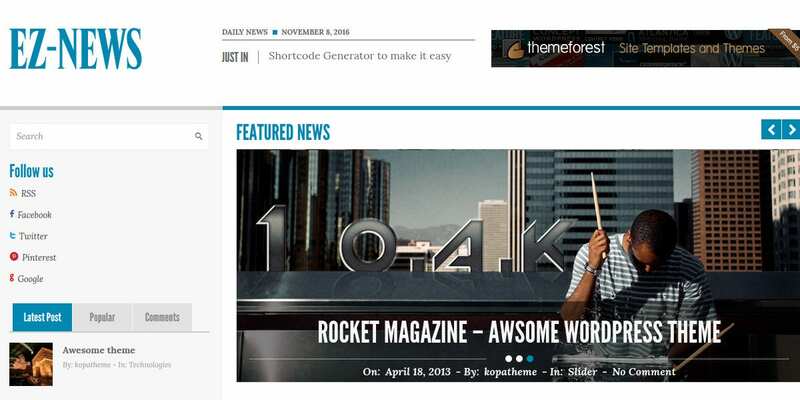 SJ The Daily is a news and magazine template built on the YT Framework V3. It is easy to customize and use and comes with a load of features such as a responsive layout, 4 different color styles, boxed and wide layout, latest web techniques, social media integration, RTL language, powerful mega menu, compatibility with major browsers, etc. This Website Theme has been specifically designed for highlighting educational news. It is fully editable and SEO friendly and comes with 24/7 free support, light color scheme, 100% responsive design, custom post types, multilingual support, 2 step installation, custom widgets, advanced backup, fantastic sliders, customized typography, filterable portfolio, free lifetime updates, built-in theme customizer, etc. 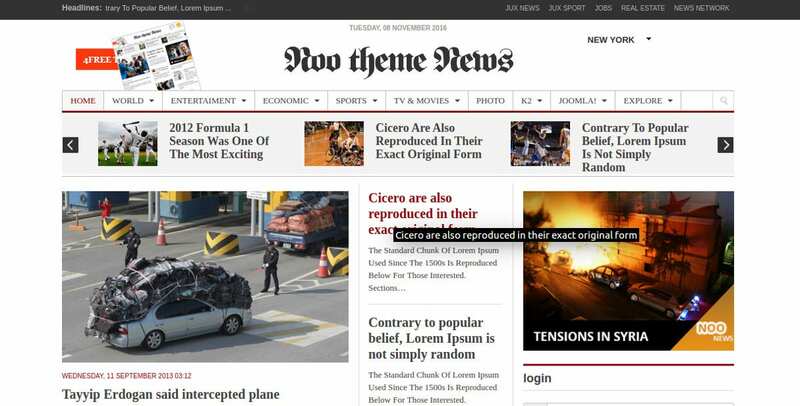 Noo Press News is a theme that has been specifically designed for news and magazine websites. It is user-friendly and has a 100% responsive design, 4 different flexible color options, Semantic HTML5 and CSS3, built-in mega menu, fully customizable, cross-browser compatibility, K2 review and vote system, Quickstart installation, integrated 9 Joomla extensions, etc. Coming with future updates and 6 months support from the Smartaddons team, the template is a great news website for finance related news like forex forums, financial news, stock exchange, etc. It comes with custom pages like video, sitemap, gallery, portfolio, about us, etc. It has numerous options including colors, typography, shortcodes, menus, and more. 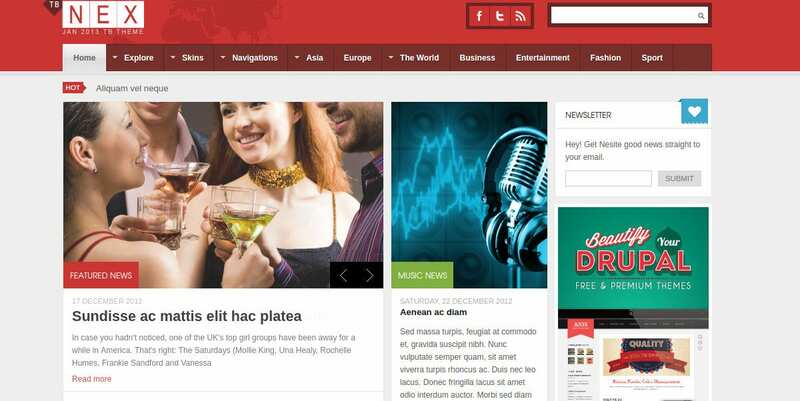 Offered with free on-going support and free item updates, the ‘Main Events’ theme is a modern theme for news sites. This highly functional theme comes with useful features such as 8-page templates, 3 color schemes, 60+ short-codes, 4 home page layouts, 120+ theme options, 6 widget areas, Flickr photos, latest Tweets, contact form, custom logo upload, etc. This fashion news template has a white background to help visitors focus on the news and photography part alone. This engaging theme has been structured to display catwalk reports, photo-rich galleries, latest fashion walks, etc that would keep your audience well-informed. 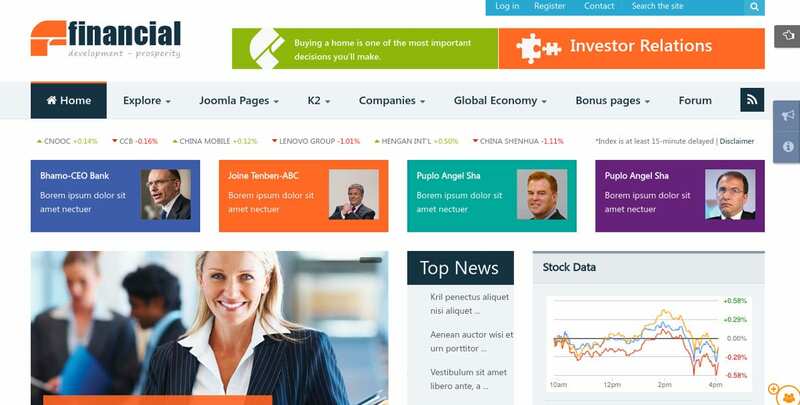 It has a 100% responsive design and comes with multilingual support. 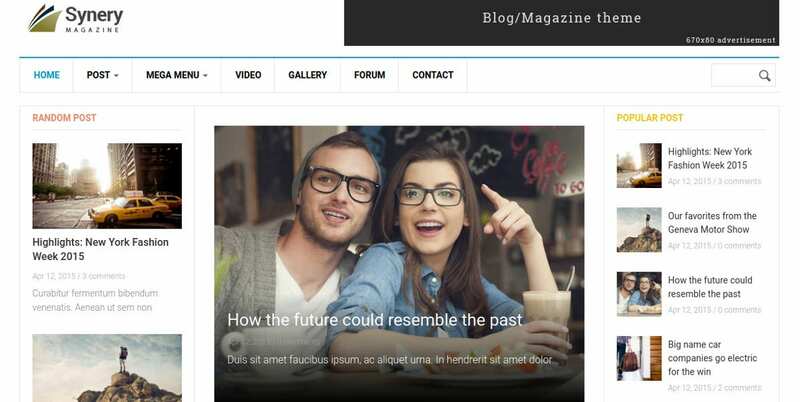 TB Nex is a great, fully Responsive Website Template to present articles and news. It offers 6 color options, Superfish menu (for easy and quick configuration on the backend), accordion animation in the sidebar, responsive design, social icons, jCarousel, quick tabs (to provide quick access to different sections), menu breadcrumb, jQuery plugin, and web form. Gavias Synergy is a Drupal theme powered by HTML5/CSS3/Bootstrap. It has been designed specifically for news and magazine websites. Its elegant and clean design, fast and friendly support, mega menu, unlimited color skin, full documentation, fully responsive layout, etc make it ideal for both traditional and modern magazines and news. News Magazine is an SEO-friendly, multi-lingual ready, retina-ready, user-friendly, stylish and responsive theme for news websites. It also suits portfolios, landing pages, event sites, businesses, corporate, commercial and personal branding websites. It is equipped with a plethora of features like a large and elegant slider, dynamic front-page builder, 7 templates, JetPack plugin, and more. DW Focus is a premium WordPress Theme for Magazines and online news sites. It is functional and fully responsive and has a neat and modern layout. It includes built-in mega menu, intuitive theme options, smart container widgets, custom widgets, content layout setting, custom category logos and colors, seamless demo content install, built-in SEO, Social options, etc. MH Magazine is a WordPress theme designed for news websites, professional blogs, online magazines, and editorial related projects. It helps present your content in an attractive way. It is an SEO optimized, easily customizable, easy-to-use and fully responsive theme with unlimited color options, advanced layout options, custom widgets, and much more. Dynamic News is a Responsive Website Theme for news and magazine websites. It is translation ready and responsive and comes with a content slider, powerful theme option, header and search options, strong colors, custom menus, bold typography, custom background, theme customizer, social icons, GPL license, 3 category post widgets, threaded comments, best code practices, etc. 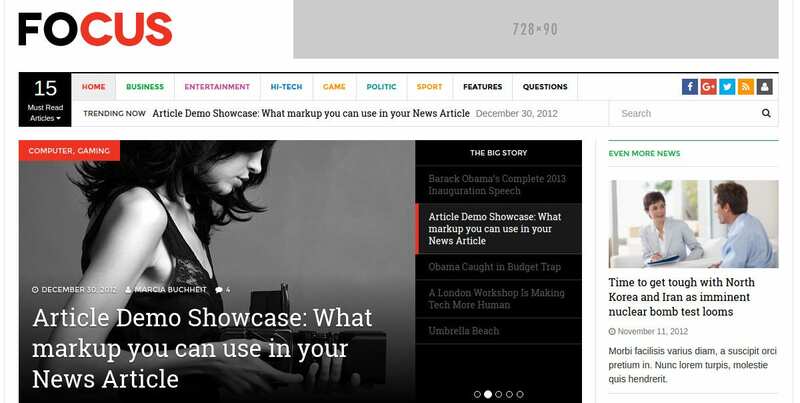 NewsPaper is an elegant WordPress theme designed for sites with rich content. It is speed optimized, responsive and SEO ready. It comes with easy translation support, featured section, tabbed homepage layout, popular categories section, brands section, Adsense optimization, parallax scrolling, awesome fonts and icons, easy legibility, clean commented code, shortcodes, powerful options panel, author box, unlimited colors, unlimited backgrounds, etc. Save the trouble of coding; get yourself a premium paid or freely-downloadable template and start off right away! The elegant layout and enriched functionalities of these Social Media Website Templates facilitate the effortless management of daily admin activities and also help present your content in the best way possible.